Now run a two-day workshop with Andy Watt — one of the thought-leaders in the application of Theory of Constraints (TOC) in manufacturing & project management environments. Complete more projects faster — finishing each on time and within budget! Overcome the natural resistance to change that’s the biggest barrier to fast, sustainable results! Fix chronic productivity and quality problems! Just two challenging days locked away in a boardroom with one of TOC’s leading thinkers and implementers. Andy will accomplish what most consultants fail to deliver in months. Together with your management team, Andy will produce a plan to improve your business management and production processes that is comprehensive, practical and downright ingenious. This Solution Design Workshop is like no other. Andy is no junior consultant or ex-corporate business analyst big on theory but small on practical application. 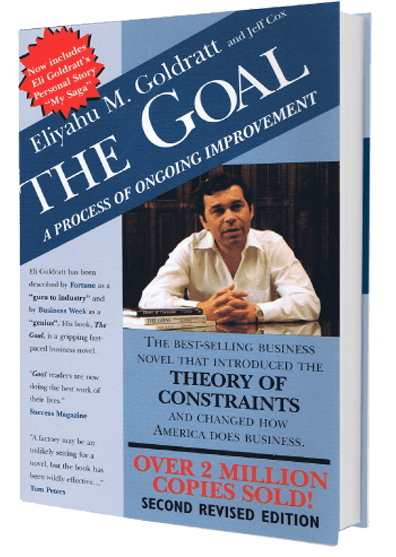 He’s been working hands-on in manufacturing and project management environments to apply the principles of The Goal for more than 15 years. He’ll bring this considerable experience to develop a comprehensive and practical blueprint that directly addresses your specific challenges with lead times, bottlenecks, on-time performance and operational costs. He’ll then package these findings into a comprehensive document detailed enough to implement — with or without our involvement. Andy regularly runs Solution Design Workshops all across the United Kingdom. His calendar tends to be heavily booked so it’s wise to plan in advance.